Address: 681000 Khabarovsky Kray, Komsomolsk-na-Amure, Komsomolskoye s., 59. 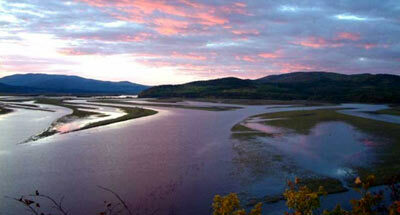 Zapovednik Komsomolsky is situated in the central part of Khabarovsky krai and was founded in 1963. Its area is 64,3 thousand ha. 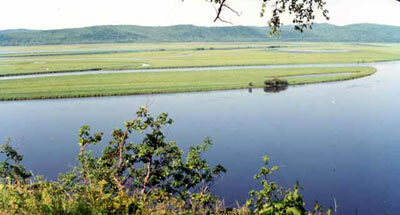 Till 1990 the Zapovednik occupied two sites on the right bank of the river Amur — Pivansky and Gursky. The first was located near the city of Komsomolsk-na-Amure and was used as a recreation zone. The second suffered greatly from fires during 1976. These were the reasons for giving the Zapovednik another territory on the left bank of the river Amur, in the basin of its sizeable tributary, the river Gorin. Mountain landscapes prevail. A smaller part of the area is taken up by riverine lowlands. Maximum heights do not exceed 500 m above sea level. The Zapovednik's landscapes have a transitory character between natural systems typical for mixed forests zones, and taiga. The plant cover is formed from representatives of three floristic areas — Manchurian, Okhotsky and East-Siberian. The territorial disposition of communities is subject to height belts: cedar-broad-leaved and cedar forests in the lower and middle parts of mountain slopes, and fir-spruce forests on the upper reaches of mountain rivers, and on watersheds and slopes of northern orientation. Mountain larch forests grow in place of cedar and spruce forests destroyed by fires. For the lowland-river part of the Zapovednik lakes with well-developed water and near-water plant cover are characteristic; numerous islands are covered by meadow plants. High inundated terraces are occupied by broad-leaved forests. Weakly drained plots are associated with leafed maris. Bogs with larch are most common in valleys of the left-side tributaries of the river Gorin. Five species of local flora are in the Red Data Book of the Russian Federation — Japanese yew, caltrop, Cypripedium macranthon, Pogonia japonica, and Gastrodia elata; there are many species, rare for Far Eastern flora. 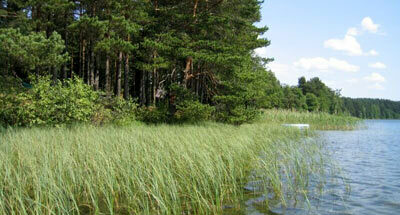 The Zapovednik has the most favorable conditions for conservation of dark coniferous taiga. Among ungulate and predatory animals the most characteristic are musk deer and sable, elk and brown bear. A special place among the protected species of the Komsomolsky Zapovednik is taken by a type of taiga fool hen endemic to Okhotsk. Through the Zapovednik run the northern limits of dispersion of many animals. Among mammals there are — wild boar, raccoon dog, Indian marten, Asiatic black bear, etc. Tiger enters the Park sometimes. The territory is crossed by important migration routes of many birds; during fall and spring migration periods lot of waterfowl stop here. Good spawning grounds of chum are located in the basin of the river Gorin. Several vertebrate animal species are in the Red Data Book of the Russian federation — fool hen, mandarin duck, black stork, etc.